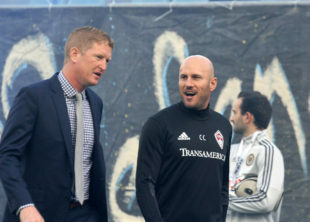 On this Episode of ZoloTalk, we discuss the upcoming match against Colorado, replacing Fabinho at left back and Jim Curtin’s tactics on the road. Also, for the first time, we welcome guest contributor Jason Huff. He stops by to talk about the start of the season, how he graded the offseason and the contract extension for C.J. Sapong. You can listen to the show via Soundcloud or via iTunes. ZoloTalk has partnered with PhillySoccerPage to provide Union fans with a podcast by the fans, for the fans. If you’re interested in contributing to the show, contact ZoloTalk2010@gmail.com.